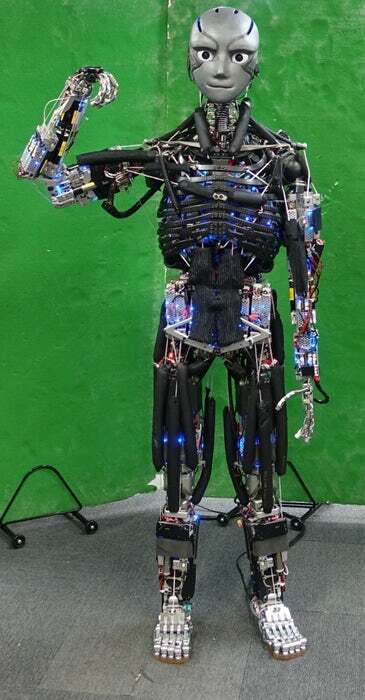 A team of Japanese engineers built a new humanoid that anatomically resembles the musculoskeletal system of the present Robot received a name. He is capable of rocking the press and doing many other physical exercises. Including push-ups and sit-ups. The robot Kengoro has already conquered the hearts of fans of robotics around the world, because it looks and behaves very much like a man. 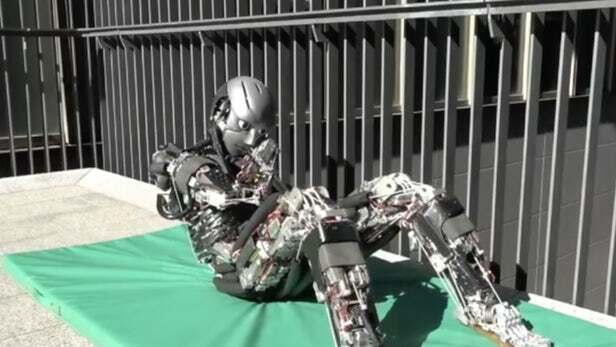 The humanoid athlete was developed by engineers from the JSK Laboratory at the University of Tokyo. The project was developed for several years, but the results surpassed all expectations. Kengoro today is recognized as the most advanced humanoid robot in the line, which was opened in 2001, the first prototype for Kenta. This project was the development of a robot that looks and behaves absolutely like a human being. Detailed results of the testing of the robot Kengoro were published in the scientific journal Science Robotics.